One evening, when we were mored on the rocks of the beautiful skerry Lindholmen/Norway, I just came on deck to take a last bit of the beautiful evening nature in, when I saw some unusual patterns of water movement. For a very short moment a seal was showing it's head, then dived again. 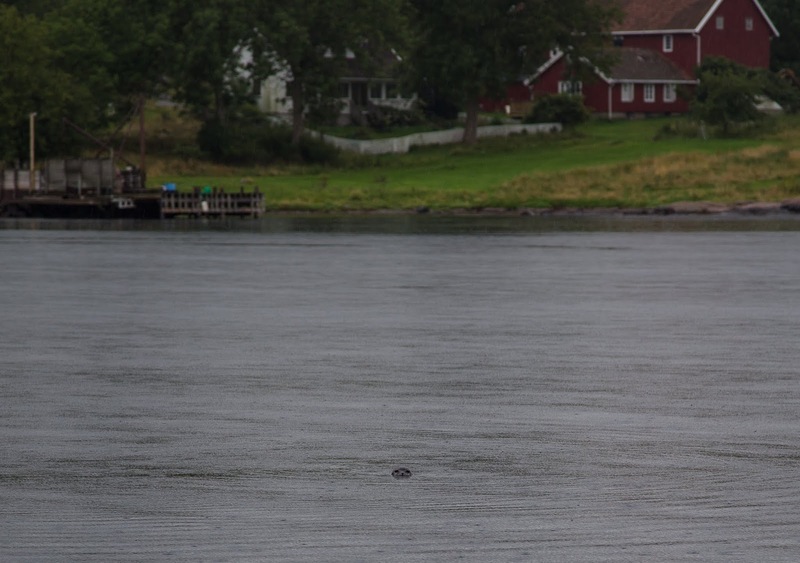 Fish were jumping out of the water and from the pattern of the water movement we concluded that the seal hunted the fish by swimming in circles. It was a very exciting observation which lasted only a few minutes. On the second day of our summer vacation we already experienced the full beauty of the skerry landscape. 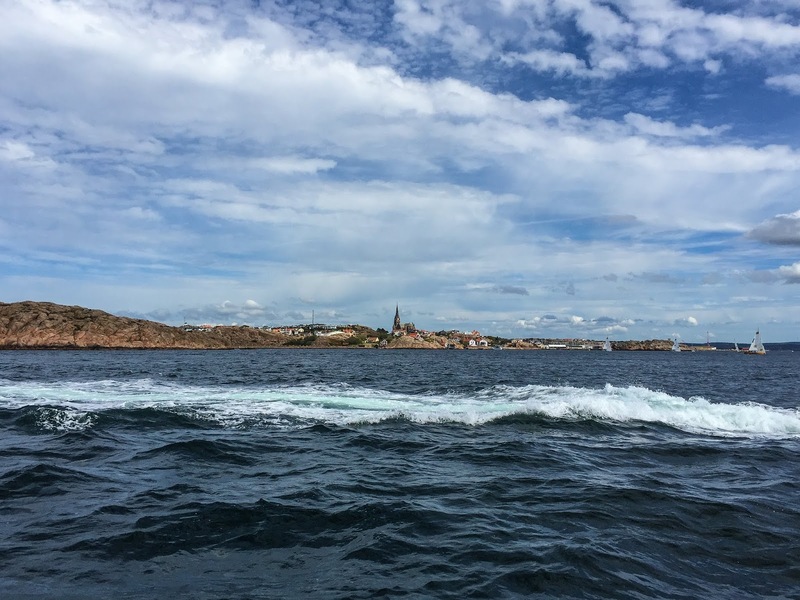 We had a very nice sailing trip passing the City of Lysekil and traveling through the Sotten-Chanel. Up there in the North it was already off-season and we were quite happy that everything was less crowded and calmer. Again we were very impressed and touched by the rock formations. 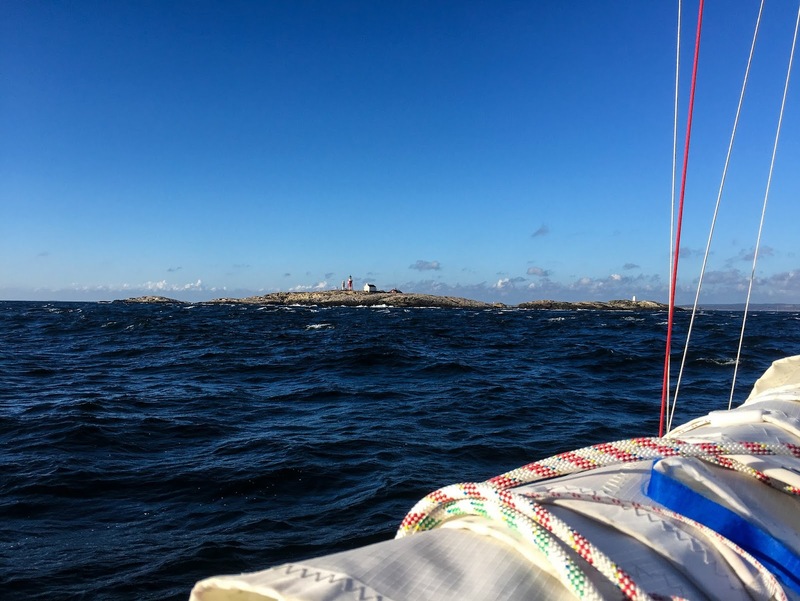 Behind Lysekil the stones changed their color to relish and became very smooth and rounded. Early evening we anchored at a bay at the nature reserve Dannemark-Ulön and simply enjoyed being in nature for the rest of the day. At the beginning of August we finally started for our summer vacation.